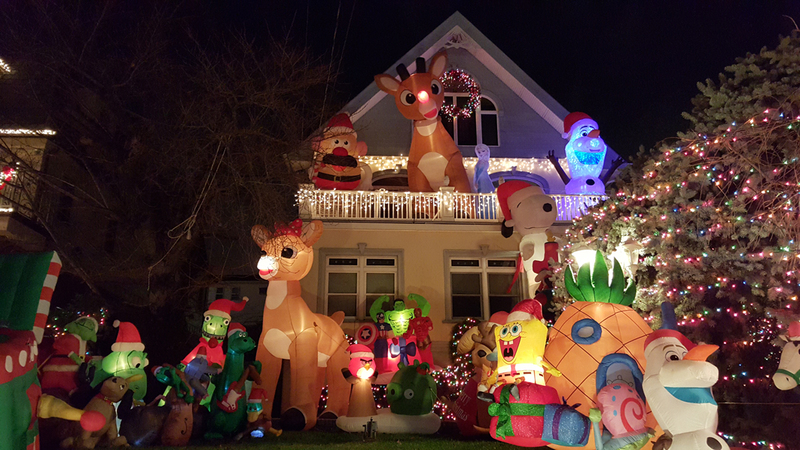 Something you can’t miss doing in New York if you’re traveling in the month of December is to visit the Christmas decorated homes in the neighborhood of Dyker Heights in the borough of Brooklyn. The locals of this neighborhood, from the first days of December, in some cases after Thanksgiving, begin to decorate their homes but it’s recommended to wait until December to visit them. The option of paying a tour is more convenient for those who do not want to walk a lot and prefer to go with a transport that takes them and brings them back. While for some, paying a tour can be expensive for their budget, for others it is a very good option, for example for seniors, for those who do not want to walk with so much cold or go with children. The tour lasts 3 hours and has a cost of usd $60. What are we going to find in Dyker Heights? The best date to visit the houses is mid December where the amount of decorations are greater. 84th Street is the main street where you will find the best decorations. There you can see the most famous house by Lucy Spata, it is located at 1152 84th Street. You will recognize her for the amount of decorations she has, none have as many as her. Another very striking house is that of the Polizzotto family that is located at 1145 84th Street. To identify it, you can see a huge Santa Claus at the entrance. Obviously there are many more, so continue walking on the streets 83 to 86 between avenues 11 and 13. Having a good warm coat is essential, there is quite a difference in temperature between Manhattan and Dyker Heights. The best time to go is after 5 pm until 8:30 pm. Until the first days of January there are decorated houses but it diminishes much after the New Year. On weekends there may be more lighted houses, but also more tourists.